Lead Thru Sport and 21 Basketball Academy present BECAUSE WE CAN: A 3×3 Tournament to Empower Girls to break down internal and external barriers for female athletes on Saturday, October 27 in King City. Lead Thru Sport wants to empower girls to try new things, to explore different opportunities on and off the court, to embrace new challenges, and to go in with the positive and confident attitude of BECAUSE WE CAN. Through 3×3, participants have more opportunities to touch the ball and to practice skills they might not normally be able to try in a traditional 5-on-5 team-based environment. Further, the event not only includes 3×3 games and skills competitions but inspiring guest speakers as well. In addition to the opportunity to win awards and prizes, all tournament participants will receive an Under Armour reversible jersey and shorts. Proceeds from the tournament go towards funding Lead Thru Sport’s free programs and events, including their speaker series, In the Huddle: Lessons from Female Leaders in Sport, and their work experience and mentorship program, WORK Thru Sport. Full event details are below. 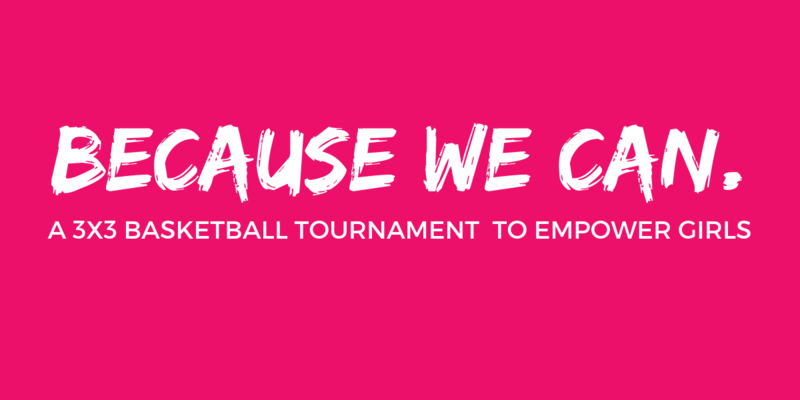 Register for BECAUSE WE CAN: A 3×3 Tournament to Empower Girls! For more 3×3 tournaments, visit Ontario’s Basketball’s 3×3 Events page. Written on 2018-09-12, in News.